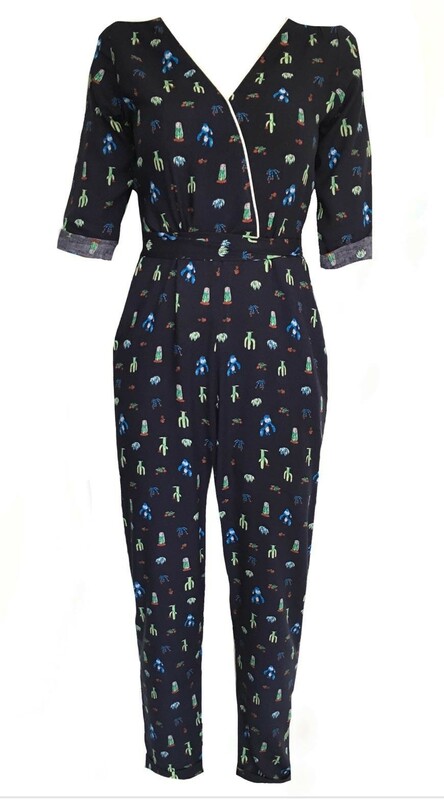 - Cropped length trouser jumpsuit. - Multi-coloured cacti desert print (cool cowgirl style). - Faux wrap bodice with low neckline and relaxed three quarter length sleeves with turn up (too cool). - Detachable blue buckle belt for shape and attitude, dude.